Will the EU defend humanitarian assistance to migrants? 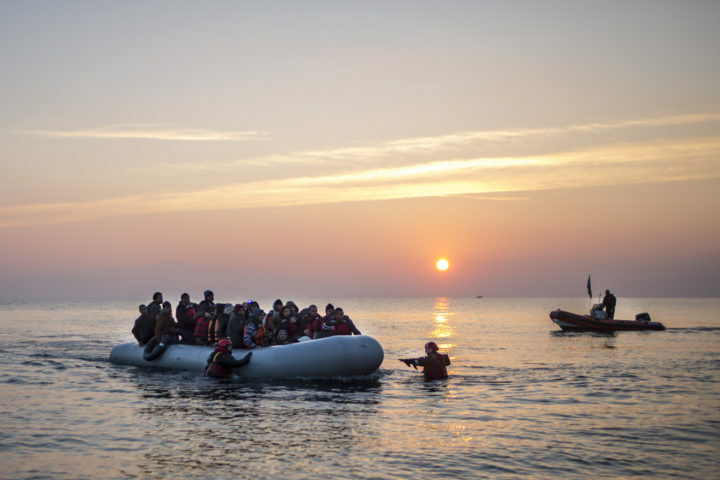 2015 saw 1.3 million people apply for asylum in the European Union. Fleeing war, poverty and persecution, many have risked life and limb to enter the EU via land and sea, with thousands of lives lost for daring to dream of a life in peace and safety. It’s well known that Greece and Italy are the two countries handling the majority of new arrivals to our shores, doing the best they can with stretched resources amidst unprecedented migration flows. Lesser known is the reality faced by civil society organisations and individuals on the ground; namely, that they could face sanctions, fines and imprisonment for offering humanitarian assistance to migrants and refugees, in part due to the EU Facilitation Directive. In 2002 the EU adopted the Facilitation Directive, which identifies what is meant by facilitation of the entry, transit and residence of undocumented migrants in the EU. The Directive states that anyone who intentionally assists an undocumented migrant to enter or transit across the EU is breaking the law and may be sanctioned, as well as those who profit financially by helping them to reside in the EU. In many cases, this means organised smuggling rings, or employers and landlords who seek to exploit undocumented migrants’ vulnerable position. However, the Facilitation Directive does not rule out imposing similar sanctions on individuals or organisations that offer humanitarian assistance to undocumented migrants. This could include the provision of emergency shelter, food and medical attention, even if these services are delivered to the undocumented migrant free of charge. It is because the Directive gives Member States the possibility to criminalise humanitarian intervention that Manuel Blanco faces ten years imprisonment in Greece. Manuel, a Spanish fire chief, is the founder of a non-governmental organisation called PROEM-AID, and along with his colleagues he had been volunteering on the Greek island of Lesbos since 2015. Together with the Greek coast guard, they had been working to save the lives of migrants and refugees in danger at sea. But in January, Manuel and two of his colleagues were arrested; because they had been pulling drowning men, women and children to safety, they were accused of people smuggling. On 15 November Manuel joined us for a round table meeting in the European Parliament and shared his testimony with representatives of the EU institutions. It was a moving and humbling experience to hear his first-hand account of being on the frontline of the migration crisis – sadly, as well as many success stories he also witnessed losses of life. The European Commission has been gathering examples of cases like Manuel’s, but so far it has not found widespread evidence of persecution and conviction of humanitarian actors based on laws stemming from the Facilitation Directive. However, this could largely be due to the chilling effect of the Directive, discouraging service providers from reporting assistance given to migrants and refugees, while also dissuading them from providing such services in the first instance. In what could be perceived as trying to let us down gently, at the round table meeting a European Commission representative explained that the onus for protecting or persecuting humanitarian actors rests with Member States. Such a response is a bitter pill to swallow when considered alongside the Commission’s extensive actions in other policy areas and its unprecedented overreach into the area of national taxation laws – a move that both Ireland and Apple are appealing. Why is the Commission willing to “overreach” beyond its jurisdiction when money is concerned, but not revise an existing EU Directive when human lives are at stake? Human rights and solidarity are EU values at the very core of the EU project. Should they not be defended and promoted whenever possible? The apparent reluctance to find a solution for people like Manuel is baffling. The EU has a responsibility to ensure that people are not criminalised for acting in solidarity with other human beings. And it is not just Social Platform that believes so: 132,865 people have signed an online petition calling for the EU to revise the Facilitation Directive to ensure that humanitarian actors are protected. The change seems simple enough on paper; we want the wording of the text to be changed from saying Member States “may decide not” to prosecute humanitarian assistance, to saying they “shall not”. In reality, the change will be a lot more complex and would require Member States to look again at their transposition of the Directive. But one thing is clear: regardless of whether the revision is incredibly straightforward or mind-bogglingly complicated, it is the right thing to do. The EU is facing turbulent times, with populism on the rise, a rightward-shifting political landscape and a migration crisis that will not end any time soon. Now is the time for the “last chance Commission” to show its mettle and defend its values. If even the Commission will not defend human rights and solidarity within its borders, there is little hope left for the European project.